"The weak will always be led by the strong. Where the strong see purpose and act, the weak follow; where the strong cry out against fate, the weak bow their heads and succumb. There are many who are weak; and many are their temptations. Despise the weak for they shall flock to the call of the Daemon and the Renegade. Pity them not and scorn their cries of innocence - it is better that one hundred innocently fall before the wrath of the Emperor than one kneels before the Daemon."" I must have been on-off on-off with regards to Warhammer over the years, largely because of the numerous projects that I've started and lacked the motivation to finish. With this in mind, I've decided to start anew. 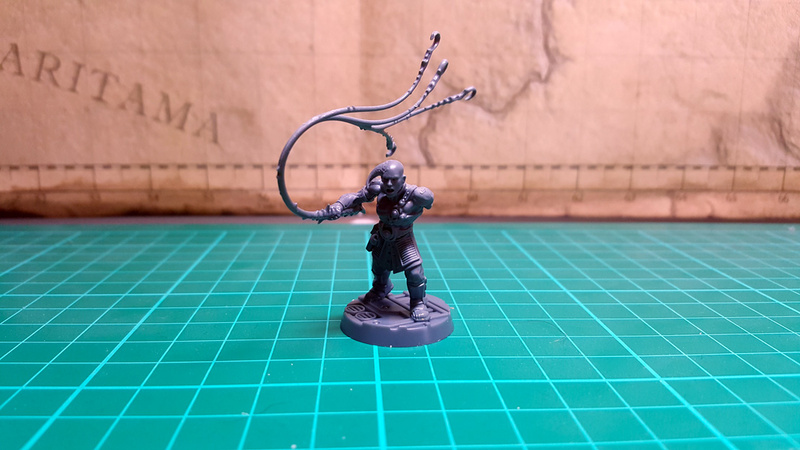 I'll list anything that I am working on, such as the new Cultists I'm prepping for an upcoming Escalation campaign at my local Games Workshop, but I'll avoid setting targets for myself. To kick it all off, 1/3rd of one of my Traitor Guard/Cultist squads. I wanted these dudes to stick to the "former IG" aesthetic as much as possible whilst making it clear that they aren't loyalists anymore. 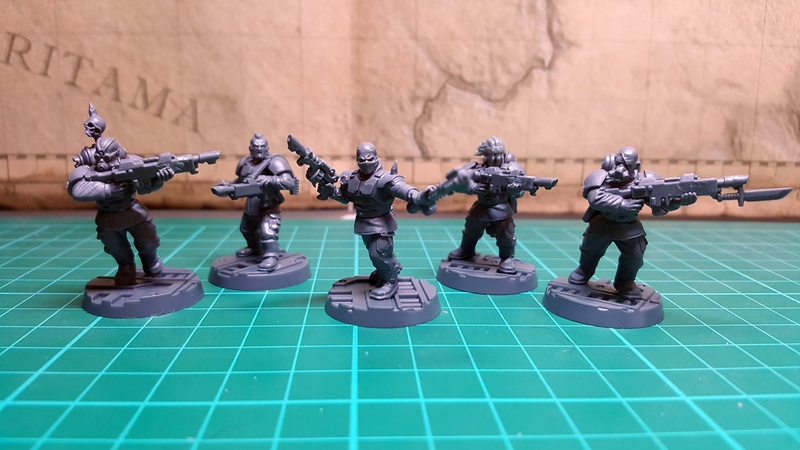 To this end I used the GSC Brood Brothers as the base (or the Cadian Shock Troops, I forget which) with some heads from the GSC Upgrade Frame, a Flagellant head, an Orlock head and some arms from the Skitarii Rangers. 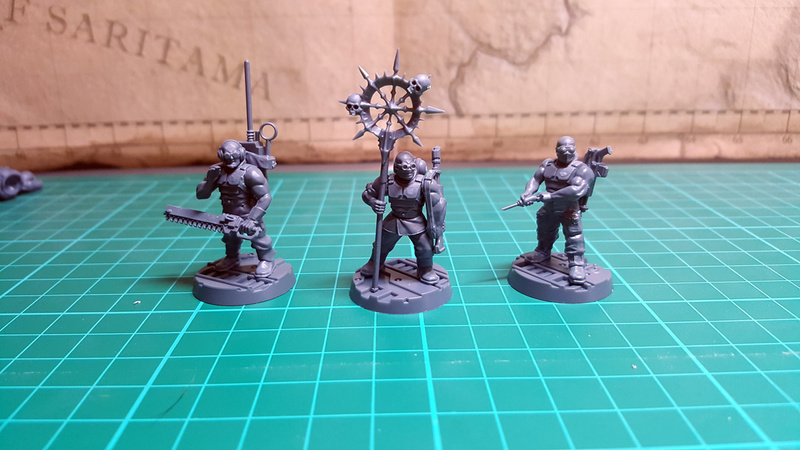 An Icon Bearer and two generic Cultists. I wanted to break up the squads a bit, so they weren't just stacked with autoguns and heavy stubbers. 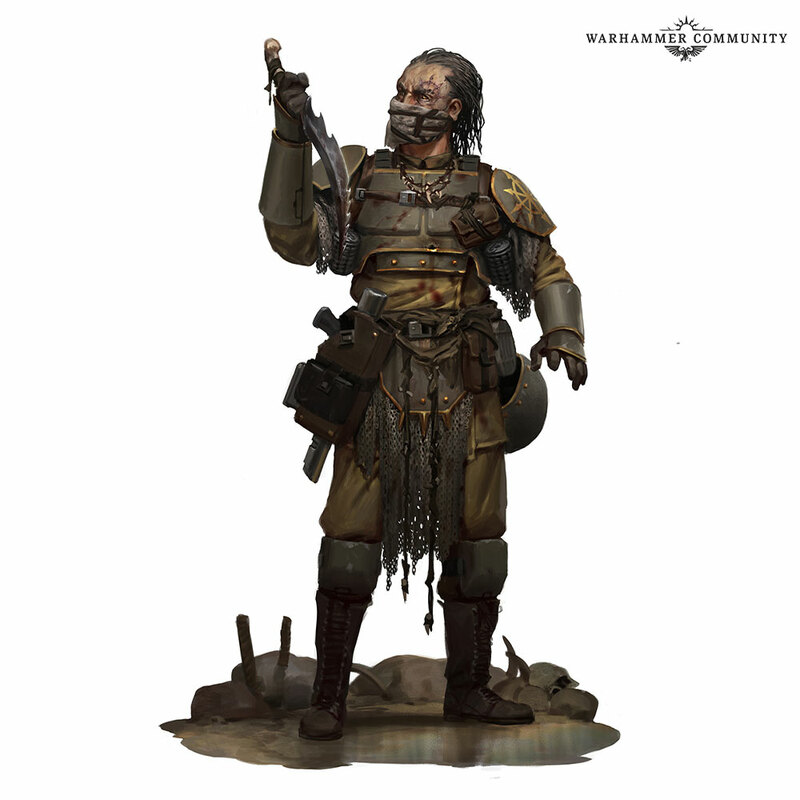 The Vox Caster and the Medic seemed like practical additions to the squads as well; I imagine that even the Traitor Guard recognise the need for a well-trained surgeon from time to time, and I like to think that it's a bit of a holdover from their days as loyalists. I used a mixture of bits from the Cadian and Catachan command squads, as well as the icon from a Chaos Chariot. I threw in some leftovers from the GSC Upgrade Frame for good measure as well. Last but not least; a Slaaneshi Enforcer that I started way, way back in 2017 and never got around to doing anything with. Now that I'm actually working on my Traitor Guard/Cultists a bit more I feel like it's time to finish this dude off. He was converted up using bits from the Hellstriders of Slaanesh kit and some Neophyte Hybrids. I'll post some more up a little later this week when I'm ready to show off the rest. I've got some greenstuff/plasticard work to do in the meantime! And we're back with another few Traitor Guardsmen to add to the army! 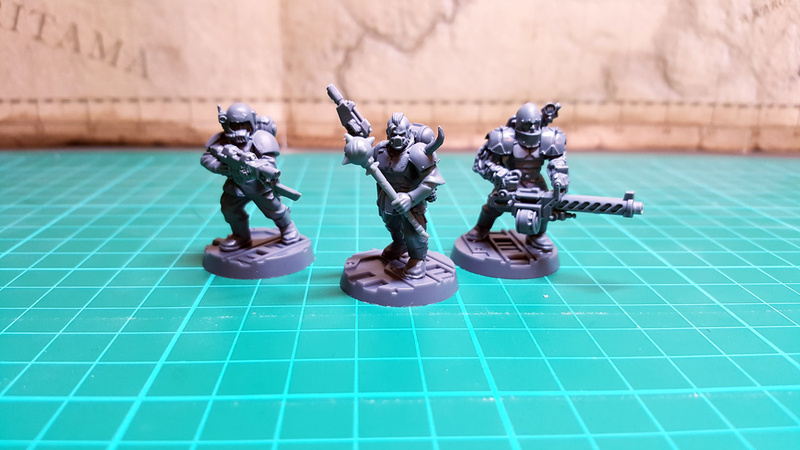 Just a few simple mixes again; Cadian Shock Troopers bits, a pair of Flagellant arms, an obligatory Orlock head, Marauder shoulders and the spike off of a helmet, some Space Marine melta bombs and a Bretonnian head. I really like the central dude (he screams badass to me - plus he reminds me of the Dark Vengeance cultists/Blackstone Fortress Traitor Guard) and Heavy Stubber bro (who was actually the first Traitor Guard I put together for this project). ... then again, I did want to look at doing Khorne or Slaanesh for that. 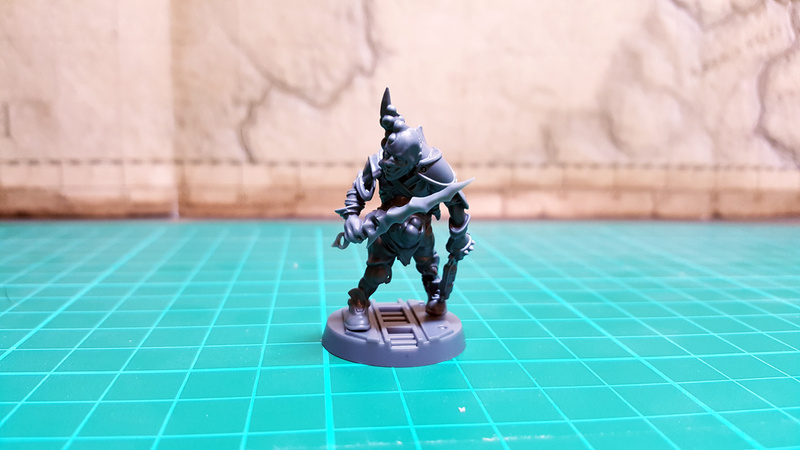 I really like that Slaaneshi enforcer, the lash and head are great parts, the Hellstrider kit seems to be a trove of useful components. The icon bearer really stands out to me as well (as he should!). These look great! What kind of colour scheme are you going for? I've had that kit for like, forever; alongside stuff like the old WHFB Forsaken (which is amazing for conversion fodder). I really wish I'= had used it sooner! I wasn't too sure on the colour scheme initially, however after seeing the new art for the Sons of Sek in the updated version of the Sabbat book coming this December, I think I'll be doing a scheme similar to them.